If, like most of us, you can only just barely wait until The X-Files event series premieres on Sunday, January 24, you’re in luck; Fox has released the first minute. But here’s a lovely thing for those sad, sad people who never watched the original series: FIRST MINUTE SPOILER ALERT The first minute of the event series consists of Fox Mulder (David Duchovny) giving a concise, one-minute overview of the series. Now, everyone can be cool! The extra bit of good news is that there are tabs on the website for not only minute one, but apparently minutes two and three as well . . .
FOX e-Alert: THE X-FILES: Watch the First Minute of the all-new Event Series THE X-FILES and X-plore the X-citing New Microsite! 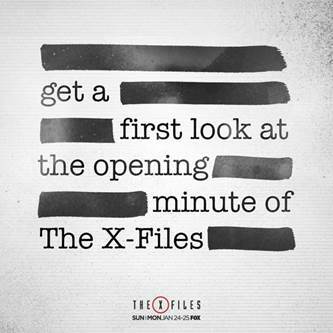 THE X-FILES Premieres Jan. 24 on FOX! 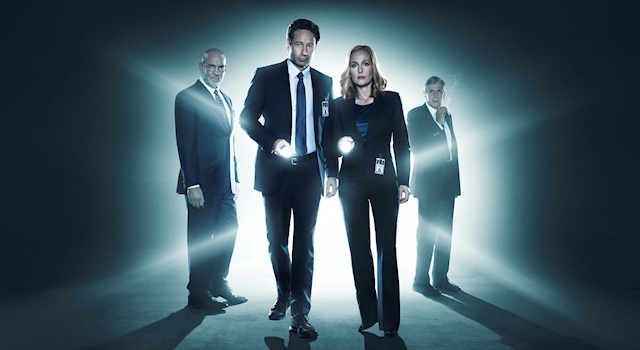 The X-Files event series, starring David Duchovny and Gillian Anderson, premieres Sunday, January 24 at 10/9c on Fox.